The “selfie”, no need to explain it, at this point you are probably overly accustomed with these infamous portraits. In the last several years selfies have flooded our social media platforms becoming one of the primary images found on sites like twitter, istagram, and facebook. So lets talk about the selfies, what’s their deal? Why are they popular? Because it’s not just the common folk that are creating them, they are a universal capture taken by all races, ages, and statuses. Who can forget the time that Ellen DeGeneres nearly broke the internet with her super selfie at the 2014 Oscars. The selfie included 12 celebs and broke previous sharing records in only 40 minutes after its posting. It was retweeted over 3.5 million times. Just to get things straight, selfies have become very popular in the last decade but this generation did not invent them. Some selfies have been discovered that dated all the way back to the early 1800’s when cameras were new in their creation. This selfie for instance was taken around 1900 by Russian Duchess, Anastasia. These types of pictures were rare in back in the day because cameras had to be held perfectly still for an extended period of time in order to capture the correct amount of light but that didn't stop the selfie, oh no. As cameras evolved so did the selfie in both technique and number. Selfies became so popular in fact that in the mid 2000’s sites were created that catered strictly to the creation and sharing of selfies. Remember how I said that selfies were not restricted by age, race, or status? Well it appears they are not limited by species either. Here is a photo of macaque that happened upon a camera and took a pic of herself. Knowingly or not, I am impressed. And its not these furry friends alone who are taking selfies, other animals have also taken a selfie or two: squirrel, lemur, gorilla, teenage boys, cats. Alright, now some of those were probably unintentional or set up by humans but lets now downplay the fact that selfies are EVERYWHERE! I know I'm not the only one who cant scroll through their newsfeed without seeing at least one. Selfies are even taken by robots for heaven sakes! 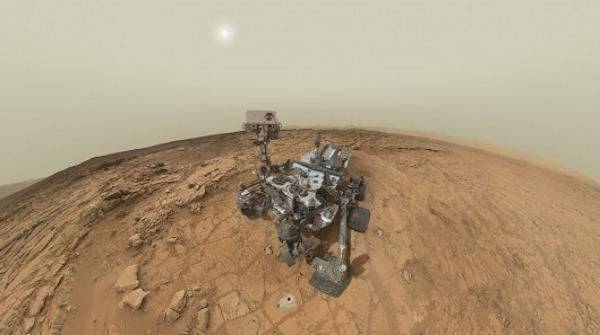 This is Curiosity, a NASA space rover taking a selfie ON MARS! Despite the fact that just about everyone (and thing) seems to be taking selfies there are some groups that are the predominant selfie culprits. According to a survey conducted in 2013, nearly 2/3 of women ages 18 to 35 take selfies. Samsung did another poll and found that nearly 30% of the photos taken by young adults are selfies! If you fall under this category than you are in luck, in April of this year a company (iStrategyLabs) created a two-way mirror with facial recognition that will automatically post selfies for you to sites like Twitter. Be warned, some studies have suggested that selfies could be hurting your relationships. In 2013 sociology researchers reported correlations between a high number of posted selfies and lower levels of social support/intimacy with social media friends. Basically, the more selfies you post the more likely you are to damage real-life relationships. Other studies have suggested that posting anything other than insights, questions, or heartfelt messages will cause others to see you as less of a friend and more as a virtual personality. Scholarly journals have made links between selfie posting and body dysmorphic disorder. In 2014, a man with BDD reported spending nearly 10 hours a day trying to capture the “rights” selfie and on one occasion, attempted suicide when he failed to do so. Still others claim that selfies are not an item of ego but an expressive or self-revealing act. Or perhaps they are a new art form rather than an odd trend. What do you think about selfies? Leave your thoughts below in the Dance Bands blog comment section.